The Chattahoochee Sailing Club was formed in the early 50s by Hamilton Clark, Clifford Hogg, Walker Flournoy, and others. The club was originally located at Walker’s place, the first cabin on the left at the mouth of Syfrett’s slough. In the mid 50s the club was relocated to its present location directly behind Huston’s Island, which is about four original Georgia Power lots. By land, the club is at the end of Longview Drive on the Georgia side. The club members, at that time, found the Snipe Class sailboat to be the best all around boat for lake sailing and regional racing. Almost all members had a Snipe. Today there are more Catalina 22 class boat than any other type and the club has an organized Catalina 22 fleet. The club has maintained about a 50 family membership since the early years. New member applications are welcome but there are some physical restraints upon the number of boats and trailers the club can accommodate. 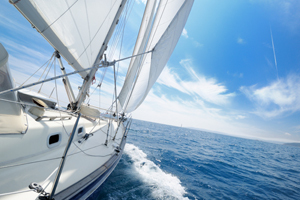 The club is a pure sailing club and membership with a motor boat is strictly limited. The club has dock facilities for about thirty boats and about the same for storage on trailers. The club has a very nice clubhouse and can be reserved by members for private functions. The club is operated by a ten member board of directors with a full membership meeting annually. The Columbus Boating Club, officially organized in 1946, is the oldest boat oriented organization in the valley area. 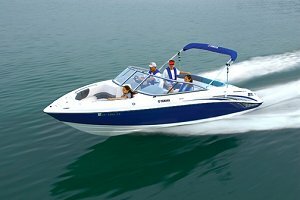 When it was organized by boating enthusiasts after World War II, it set as objectives the “promotion of wholesome family fun on the waterways, with the emphasis on keeping boating a family sport and safety on local waterways”. They have docks, fishing and swimming areas, picnic tables, shelters, grills, swings, bathrooms, fresh water and launching ramps, in a no alcohol environment. We meet the 2nd Tuesday of each month at the Covenant Woods Retirement Home on Woodruff Farm Road at 7:00pm EST. Our meetings are free and open to all interested in learning or practicing their song writing skills. 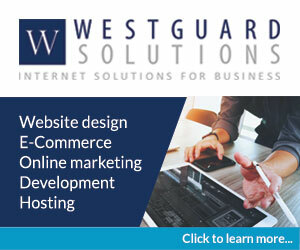 Check our page at the NSAI website. 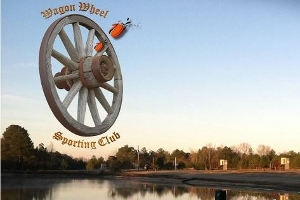 The Wagon Wheel Sporting Club is a clay target facility that focuses on the core development of Youth Athletes as a mission, but works with adults alike. We teach life lessons through mentoring, leadership and stewardship as our goals. We are affiliated with many National and State accredited organizations such as NSSA, ATA, NRA, SCTP and SSSF. Our core focus in youth development is attributed to strong leadership fundamentals and guidance. We are located off HWY 80 East, 16.3 miles east of Columbus, turn right onto Gun Club Road (Hodo Rd on GPS). We are less than half a mile down on the right. Look for the Wagon Wheel on the gate.